Thanks to Elsie Agraz, we introduce our very first Spanish caption. Thank you Elsie for translating our Eng sub to Spanish! To access the Spanish sub, please click the wheel for "Settings" and choose "Spanish" under "Subtitles." 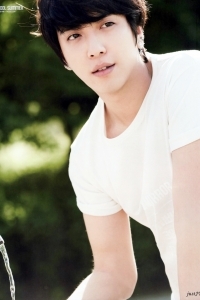 justJYH와 JYH weibar의 깜짝! 콜라보레이션~ 프로젝트! 영상 제공해주신 JYH weibar Sep(九月)님께 감사드립니다. 꼭 1080p로 설정해서 보시길 권합니다. We're happy to announce this special collaboration between justJYH and JYH weibar! We were able to get in touch with JYH weibar who took this amazing HQ video at Yonghwa's birthday party. Thank you Sep(九月)at JYH weibar for providing us with the video. So happy that at last I have found my true idol! Thank you soooooo much my fellow fans!!! oww thank you very much for add spanish subs ♥ Muchas gracias!